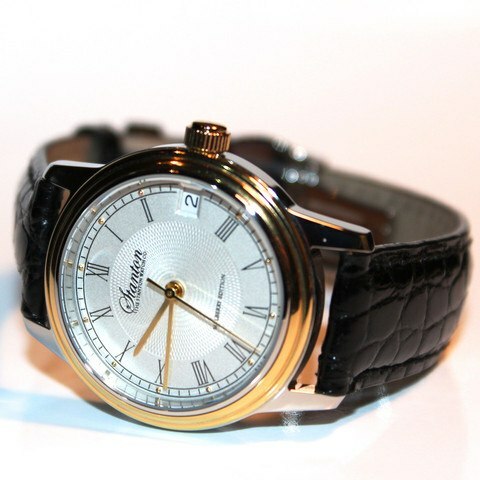 I recently caught wind of another new brand out of New Jersey, The Stanton Watch Company. From what I’ve been able to gather, they’ve only been around for a few years, but they already have five models in their collection. Four of those are aimed at men, and the fifth is what I’d like to focus on today – their one and only women’s model, the Mulberry. So, why focus on this model? Well, to be sure, there are no shortage of men’s watches being created today, especially by the newer brands. 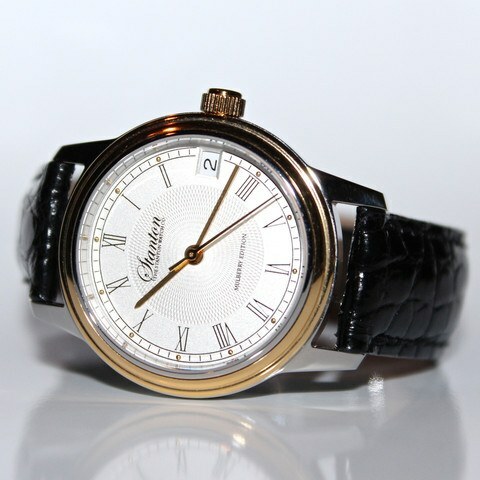 To find a ladies model that is tastefully designed (no hearts or faceted crystals here) with a nice automatic movement – that’s a rarer breed, to be sure. 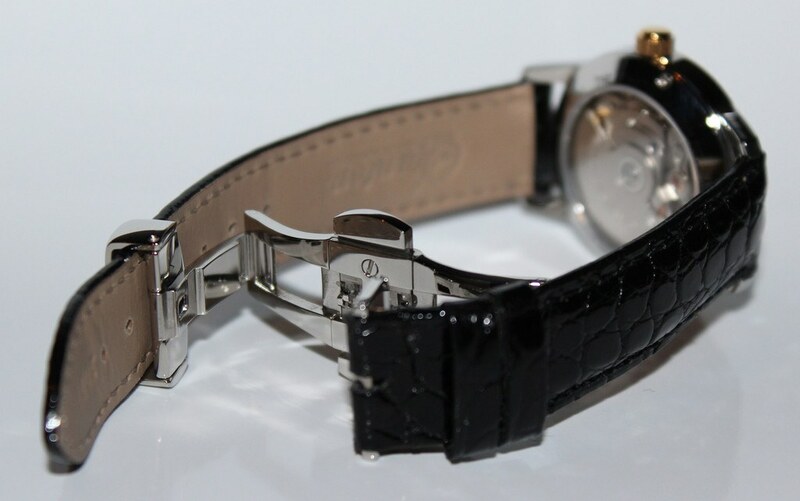 The Mulberry features a 32mm stainless steel case (gold-plated bezel), mounted on a 16mm alligator (genuine, apparently – not embossed leather) strap with deployant clasp. These dimensions probably seem much smaller than they really are, given their aimed for a female wrist (translation: sizing seems spot-on for a woman). Lest you think this watch is an afterthought in the portfolio, there are some very nice attributes in play here. You’ve got a sapphire crystal protecting the silver and white dial, which has a nice bit of embossed texture in the center; around the edges you’ve got raised numerals. Driving it all, you have a Swiss automatic movement with date complication. No word as to who the maker of the movement is (or the particular model), so it’s not entirely clear how that impacts the price. 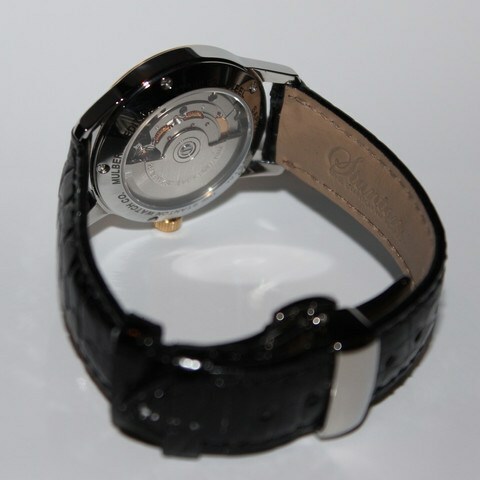 And speaking of price – this particular watch comes in at $1175, so it’s definitely positioned as a serious watch. If you’re looking to get a sharp, small-batch watch (either for yourself or someone else), this is one of the nicer automatics I’ve seen for women in some time. Previous articleWhy Kickstart A Watch? Next articleWho You Callin’ Yellow? You had me at New Jersey. Garden State, REPRESENT. Looks like a Sellita SW 200 movement (an ETA 2824 clone), but I could be wrong. If so, that movement is filling that 33 mm case for sure! Nice to see a ladies automatic with a Swiss automatic. Good luck to them with their watches.